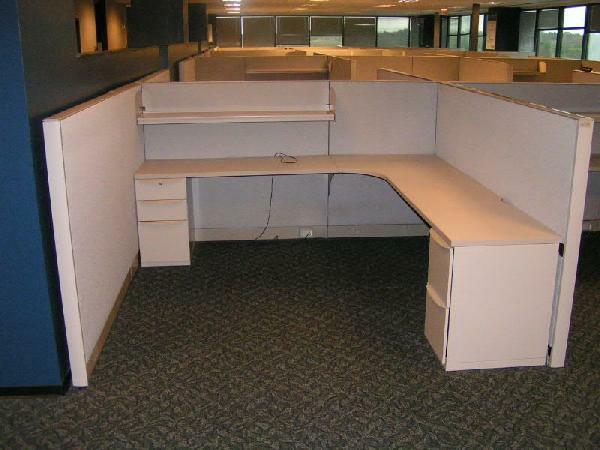 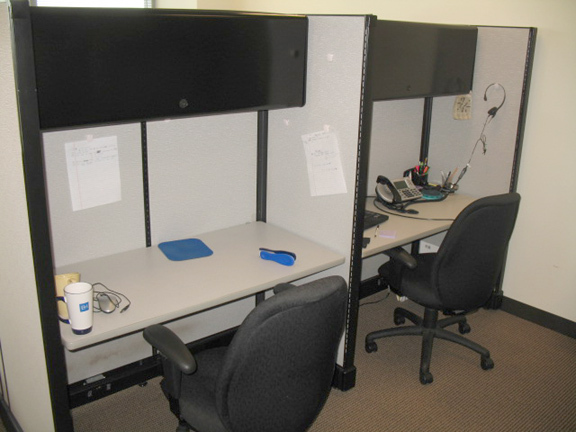 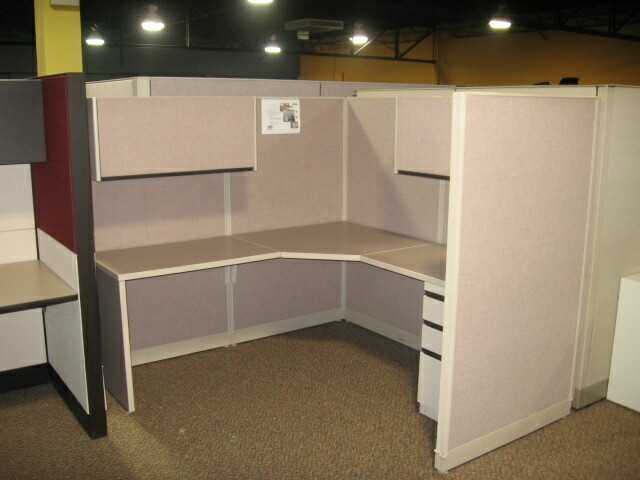 Description: 6x6 workstation with 42" high panels. 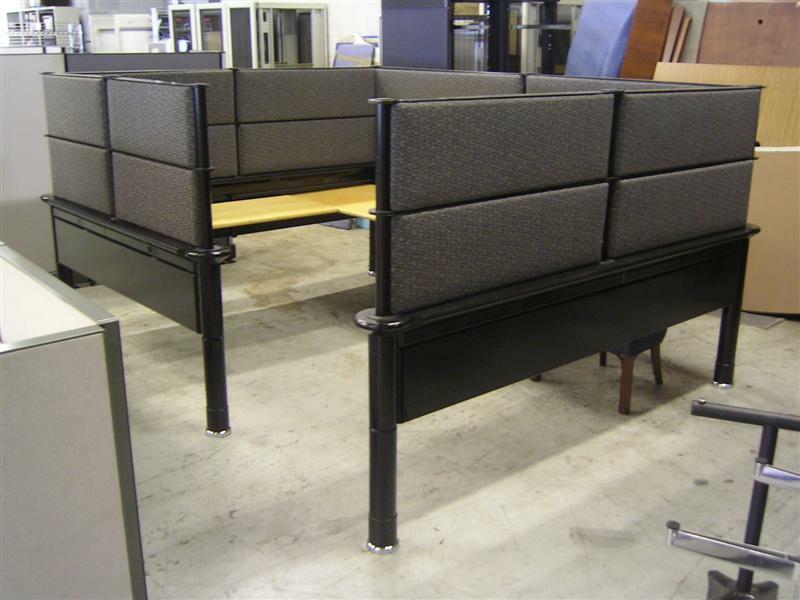 Finishes: Charcoal trim, Grey Nebula Laminate, and Grey Fabric. 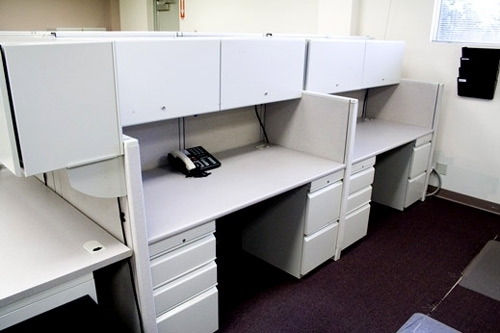 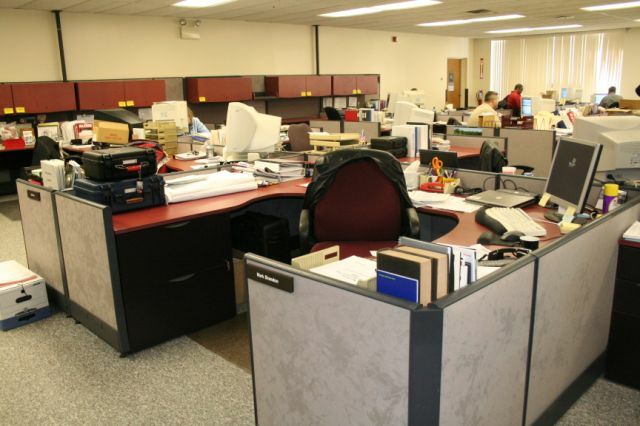 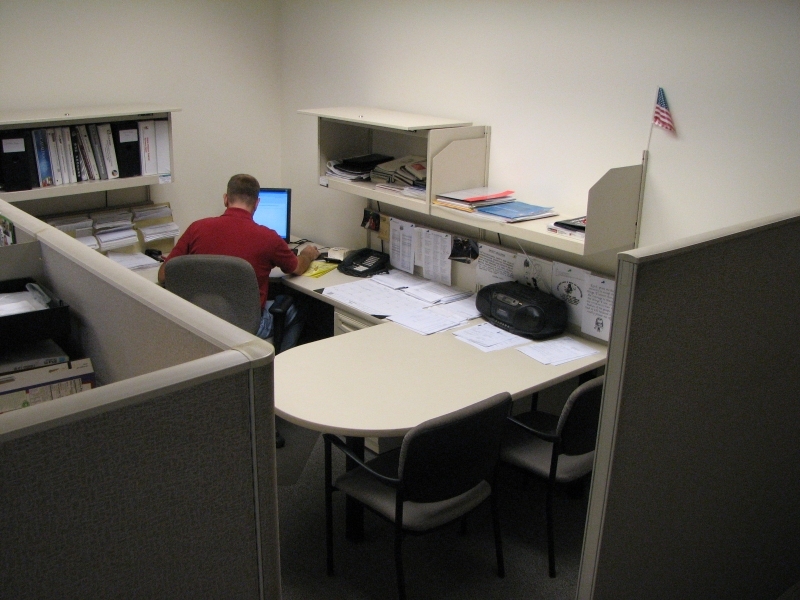 Description: 8x8 stations that come with one box/box/file and one shelf or overhead. 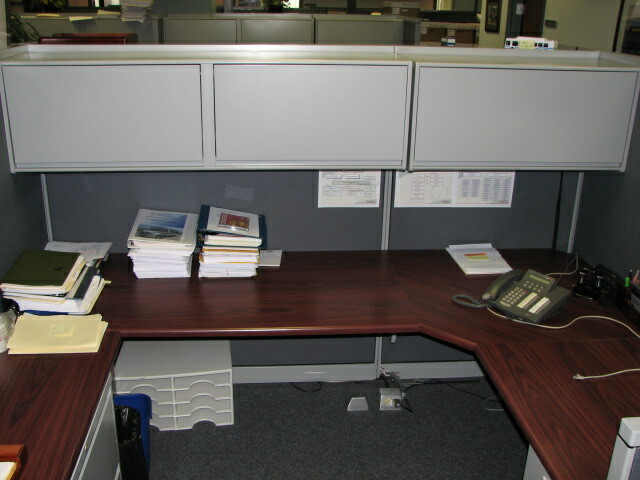 Finishes: Trim-Smoke, Laminate-Smoke, Fabric-Verona Argento. 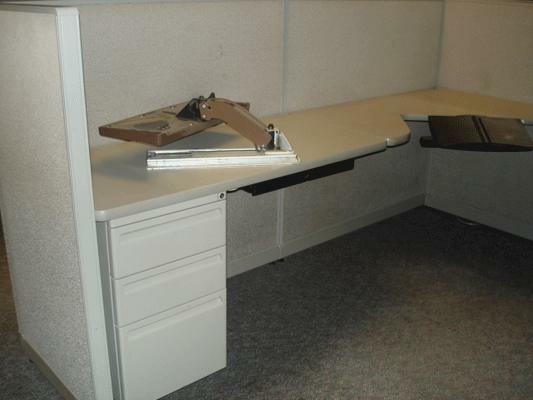 Description: Haworth Race Manufacturer: Haworth SKU: RACREX Quantity: 25 Style: Standard Color: Grey, Medium Tone Size: see Condition: Excellent 2.. 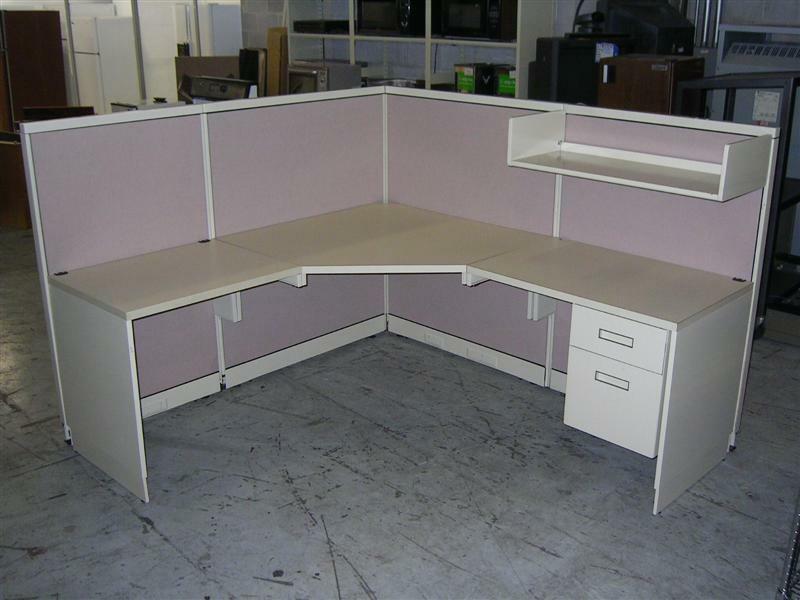 Description: AO2 Workstations Manufacturer: Herman Miller SKU: AO2NOR Quantity: 50 Style: AO2 Size: 6ftx8ftx47in AO2 Workstation by Herman Miller 6ftx8ftx47in National Power Each workstation com.. 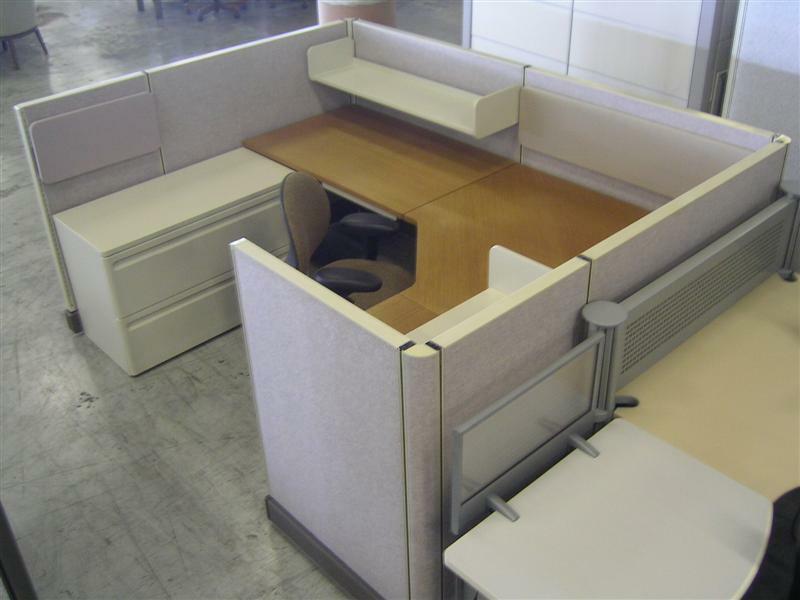 Description: Avenir Manufacturer: Steelcase SKU: AVEGRA Quantity: 14 Style: Seated Privacy Color: Beige, Chesnut Size: 6'x6.5' Condition: Excellent 42in. 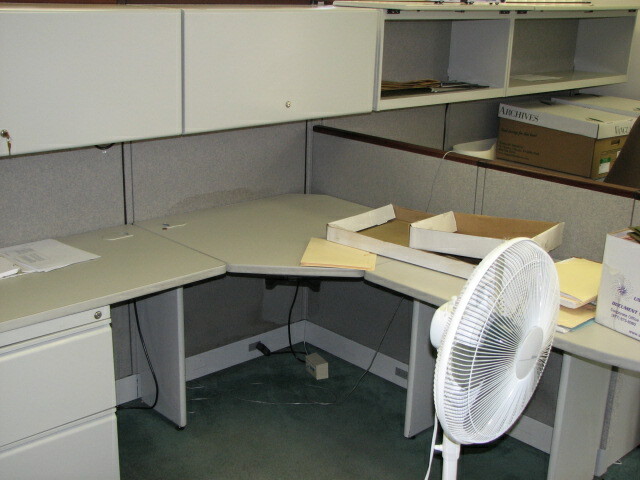 corner, 30 and 36 inch wings with 1 h.. 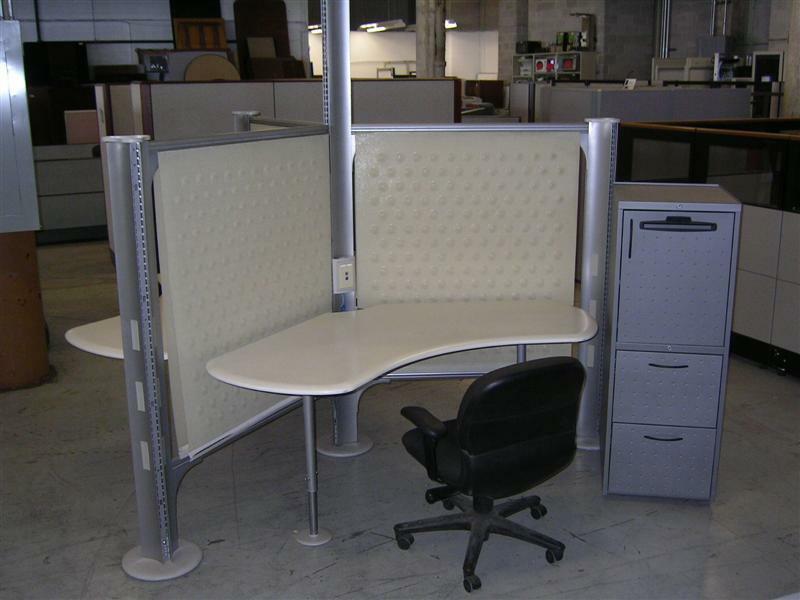 Description: Resolve Manufacturer: Herman Miller SKU: RESMIC Region: Chicago Warehouse Quantity: 15 Style: Workstation Color: Grey, White Size: 6'x6' Condition: Excellent Each station is .. 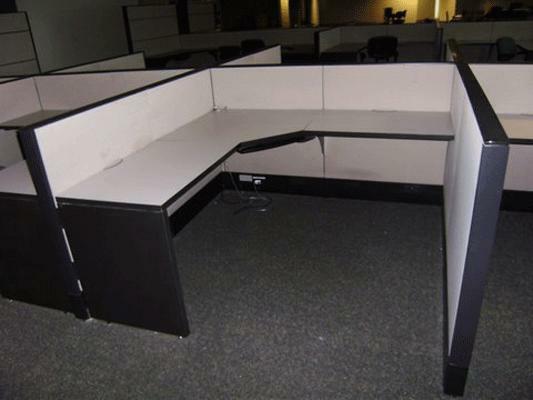 Description: Haworth Castelli Workstations Quantity: 47 Manufacturer: Haworth SKU: CASGEN Style: Color: Grey, Maple, Warm White Size: 7'x6' Condition: Excellent L-shape configurations w.. 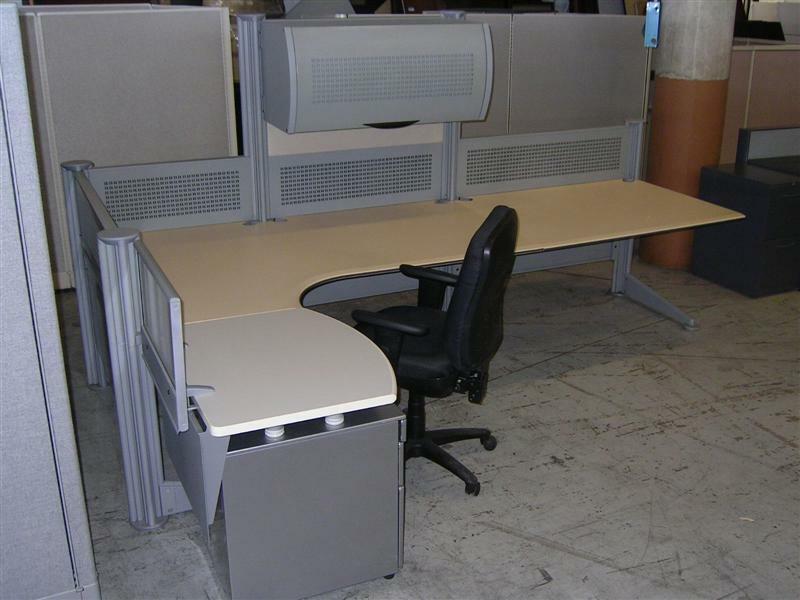 Description: AO2 Workstations Manufacturer: Herman Miller SKU: AO2PEO Quantity: 18 Style: Call Center Color: Lt Grey, Black Size: 24"x48" Condition: Excellent Size: 24in x 48in (67.. 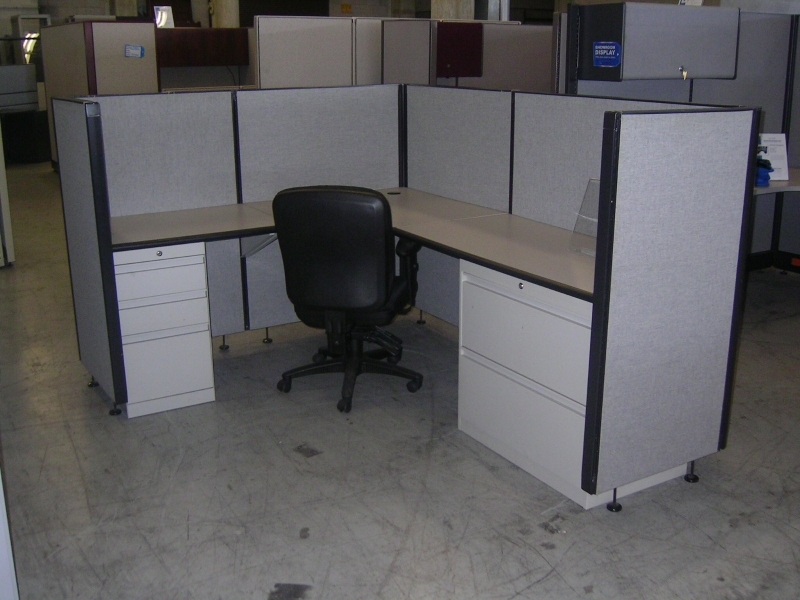 Description: Over 200 stations available, primarily 6' x 8' with two pedestals and two binder bins. 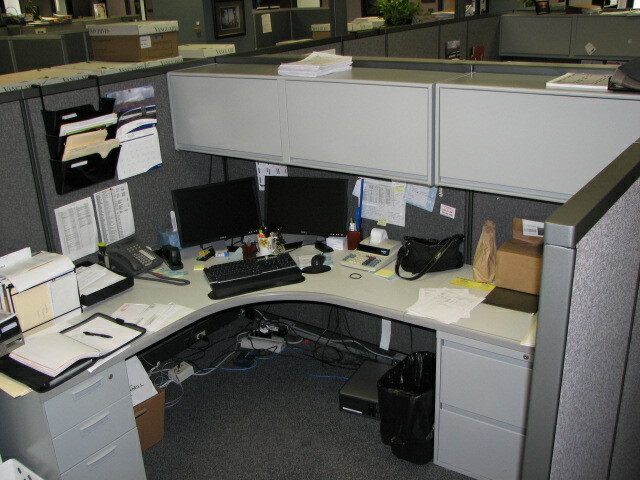 Some come with one pedestal and one 2 drawer lateral file. 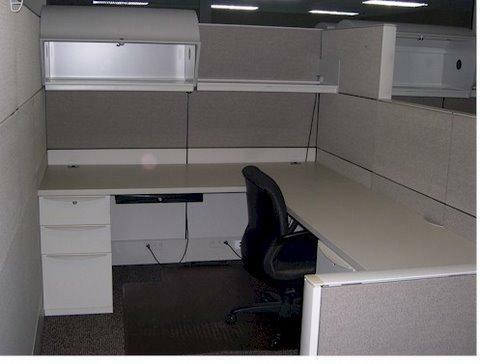 Grey fabric, GV1 paint, grey speckle lami..